Although installation volume is down and DIY is cutting both ways, sales and services tied to interactive devices and attached services are maintaining healthy revenue growth. Completed at year-end, 2017 marked the fifth year Security Sales & Integration has partnered with Parks Associates on the publication’s annual Residential Security Market Report. The results and trends lend clarity as to what to expect moving into the New Year. As in the previous study, residential security dealers reported having done solid business during 2017 with average growth of 7.72%. With that said, it did not match the growth of 2015 (9.61%) or 2016 (8.7%), which were among the years that benefited from pent-up demand following the Great Recession. The latest SSI/Parks Associates study involved 170 dealers, with half of the respondents being company owners and more than 80% of the participants having decision-making power within their companies. For some questions that dive deeper into a given area, response numbers are lower. In such cases the margin of error increases; thus, SSI and Parks Associates caution about the need to consider percent offered in these cases as a range or directional rather than as an absolute. 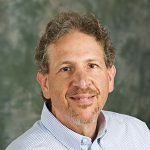 Among the key findings: amid a stabilized security market, dealers face margin challenges and new competitors; interactivity penetration is ongoing but it’s no longer a luxury and dealers not onboard will become mired at the bottom of the marketplace; smart home devices with consumer-appealing benefits will create better, easier and highly desirable functions; most installing dealers cannot afford to forgo relationship development efforts with customers; training is more important and broader in scope than ever; and voice recognition is here to stay with more innovations to come. The baker’s dozen of topics selected from the 2017 Residential Market Report along with select graphs fill out the balance of the information, data and intelligence to utilize as guideposts en route to residential and smart home success throughout 2018. Between 2012, with the heart of the Great Recession still beating, and 2017, the percentage of small dealers (revenues less than $1 million) has nearly doubled (29% to 57%). On the face of it, some may seek to interpret these percentages as bad news; they are not. 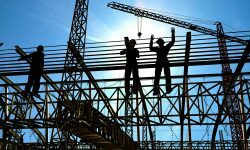 The recession, with its drastic impact on new single-family starts and moving in general caused failure for some dealers and a dearth of new entrants. Large, well-financed providers were typically better able to weather the storm. The rise in small dealerships reflects a return to normalcy. Smaller dealers have lower volume. With many more smaller dealerships in the survey mix, the average declines (from 22 in 2016 to 17 last year). 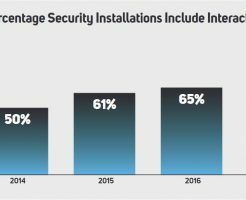 Importantly, the median number of installations per month is eight, so half of dealers install eight or fewer residential security systems each month. Clearly, big providers, either regional or national, install a disproportionate volume in terms of percentages. While average installs per month and revenues provide variation primarily as a result of more small dealers in survey response, other dealer measures indicate relative stability. 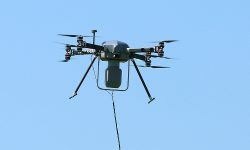 About one-half of security installations are green fields; while most of these are professionally monitored, they are not all monitored. New starts account for 20%-25%, a high percentage given the ratio of existing homes to new starts (greater than 100:1). This points to the high rate of incorporating a security system within a new start either as standard or an inexpensive option. Not all homebuyers will have their systems professionally monitored, particularly if they are included within the overall home price. More than one-third of these homebuyers simply do not want another monthly fee and will use the security system for local alarms only. Still, one way to predict how robust a year the security industry will have is to stay abreast of the new start volume. The more, the merrier. That presents a reminder to security dealers: be on the lookout for changes that matter. Some innovations are simply “nice-to-have”; others are compelling and will enter mainstream consumer wants quickly. Parks Associates believes voice recognition is next on that list. Alarm.com (32%) remains the interactivity vendor most popular with security dealers. Honeywell Total Connect (26%) shows a slight decline, but Parks Associates warns that this may be a result of high margin of error; there are small dealer samples for this question. Security dealers report that just less than half of their security installations include interactivity only to the security system at this time. Nearly one-third include basic system interactivity as well as the addition of some smart home device installation and service. (see Figure 2) Less common than basic security system interactivity, but more common than ever before, with each year showing an increase, is the addition of smart home adjacencies to the installation of a security system. The most common is an IP camera or two. Next are smart lighting and smart door locks. While none of these devices have passed the 50% mark, they will during the next five years. The closer the device’s benefit to safety/security, the more rapid adoption will occur. 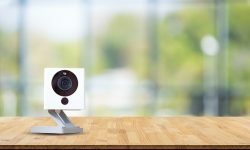 Not on this list yet as it is too new to show up is the video doorbell, a hot product. It is now showing up in small percentages in Parks Associates’ consumer surveys and its owners value it highly. Owners of video doorbells state a strong propensity to recommend the product to friends and family. 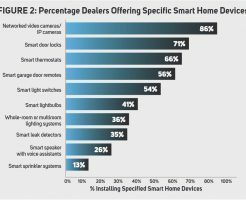 Dealers report a third of their 2017 residential installations included one or more IP cameras; 86% of respondents are offering them. The percentage drops 13% for those dealers including smart locks in their installations, with 71% saying they offer them. This may be due to a lack of consumer awareness, and/or the view by some that these products are not attractive enough to place on prominent doors. Of note given its recent introduction is that 26% of dealers report offering personal assistant devices such as Amazon Echo or Google Home. This is another indicator that voice recognition will diffuse quickly into this marketplace. (see Figure 3) The main reason dealers are offering smart home devices as security adjacencies is simple: 74% of dealers say customers ask about or for these devices. Next in line as reasons are additional revenues (58%) and defense (49%). That is, when dealers learn competitors are offering smart home devices and services, or worse lose a sale for this reason, they begin investigating the viability of offering these themselves. As more device types become available and as second, third and fourth generations emerge, increasing numbers of consumers interested in security will want one or more category types. New generations will be better, easier and more compelling, which means dealers need to stay on top of product introductions and generational improvement. This reality provides a gateway to staying in touch with existing customers and up-grading systems in a shorter timeframe than existed for traditional security. Given that attrition runs anywhere from 12%-20% dependent upon dealer type and size, the least expensive route to a customer is to keep the ones already acquired. While this is not always possible due to moving households and other like-kind factors, it is a worthy goal. All providers need to shoot for the stars — an attrition rate of 10% or better. Unsurprisingly, security dealers with lower than $400 acquisition costs are also dealers with high rates of referrals. How does any company gain referrals? There are obvious answers such as quick response and working systems, but there is also the concept of a relationship. That requires communication between the dealer and the customer. The 2017 Residential Market shows almost half (44%) of security dealers communicate with customers once per year, or less. Parks Associates believes that reflects a historical view from security dealers that it is best to let the sleeping dog lie. Today, with DIY systems entering the fray with high brand names such as Nest and ADT, that tactic may well work against silent dealers. If a system can be easily self-installed and have reliable professional monitoring, maybe for fewer dollars per month, customers may switch. That will be particularly so if no current relationship beyond a bill exists with their provider. Even many of to-day’s qualified security installers do not understand or are just learning how to install and maintain reliable networks. Another top challenge is the expanding availability of components via retail, either in-store or online (23%). The cross availability pressures margins and intensifies the need to provide a differentiating value of service, knowledge, easy experiences and the like. 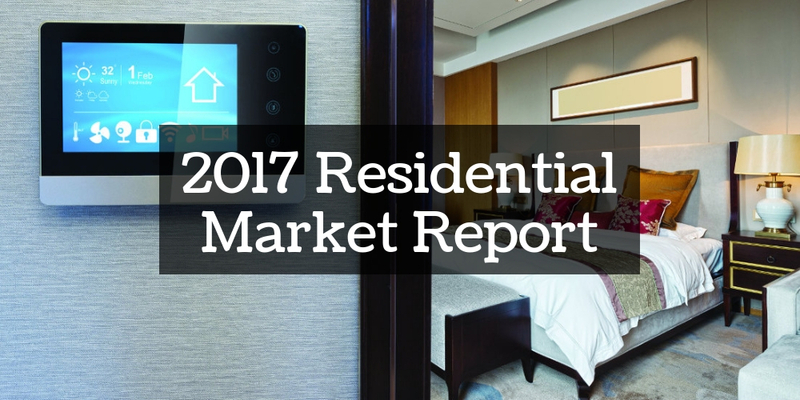 Make sure to check out the slideshow above for the full results from the 2017 Residential Market Report!